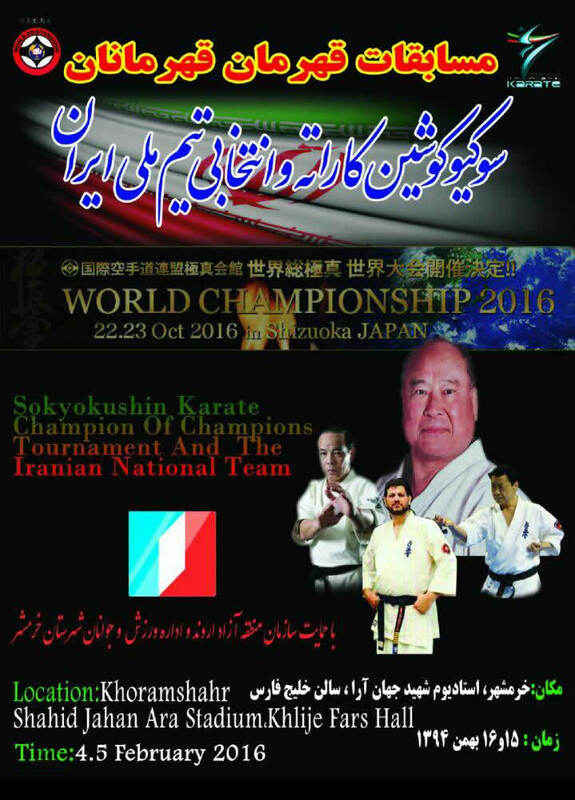 The Iran Sokyokushin Karate Tournament will be start with more than 600 fighters held by Shihan Vahid Bahrman ,Iran & Middile East Sokyokushin Representative in Khouzestan Province, Iran. 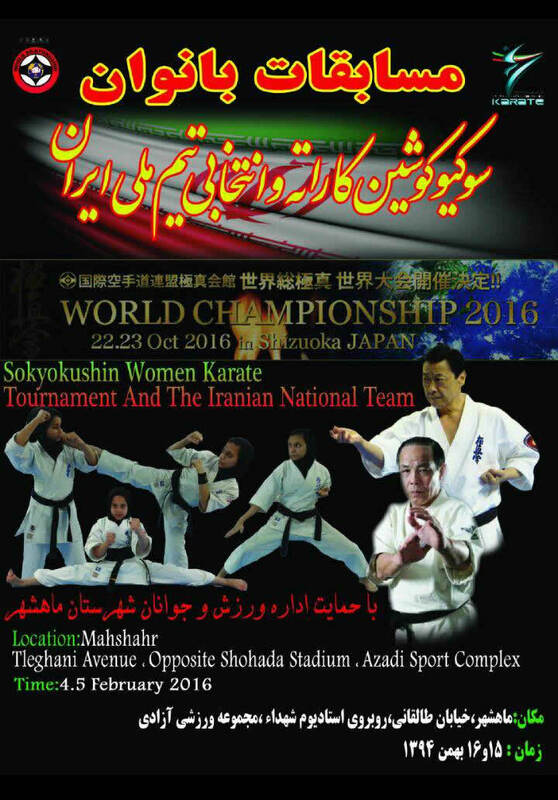 We will selective top fighters in both men and women category to World Sokyokushin Karate Toutnament. We also have good prize for selective fighters.